If you were unable to register during one of the Open Registration opportunities, please read the following information and click the link below if you wish to place your child on a Wait List. New and some returning participants in the U7, U8, U10, U12 and U14 age groups must also participate in a mandatory skills assessment session in order to complete registration. You will be assigned a time if you are offered a late registration opportunity. Late Registration Fees are in effect and are non-refundable. Cash payment will be required at the late registration opportunity (i.e. you will receive an email with instructions for a late registration opportunity if a spot becomes available on an age-appropriate team). GMAIL users: Please check your Promotions folder. The participant will be placed on a Wait List and you will be contacted IF a spot becomes available on an age-appropriate team this season. Please add our domain, westchasesoccer.org to your “Safe Sender’s” list and check your emails frequently to avoid missing a late registration opportunity. Due to the high volume of emails we receive and limited volunteer resources, WSA is unable to respond to enquiries regarding the status of those on the Wait List or provide updates on the status of coaches (if there is a shortage). We need MiniWee Assistants. The responsibilities of a MiniWee Assistant can be found on the MiniWee page. Since parents are expected to remain at the field with their child on Saturdays, why not volunteer? If you have a child in this age group and can volunteer, please follow the instructions below. Your child will automatically be bumped to the top of the Wait List and offered a Late Registration opportunity. 1. Download and complete a Volunteer Application. 2. Complete Hillsborough County mandatory training. (if you haven’t already completed for another organization). 3. Send us your Volunteer Application, coach certification credentials via the link on the Coaches’ Corner. before submitting a request for the Wait List. (which will be after Open Registration is completed/closed). 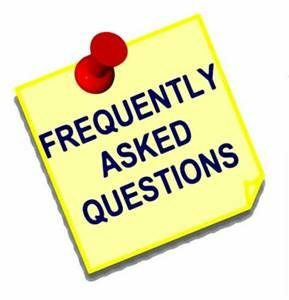 Please read the FAQs and Program pages to become familiar with WSA’s policies before submitting a request for the Wait List.